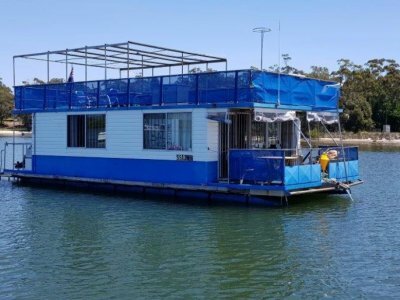 This large volume, RV Composite Cedar Motor Cruiser Built by one of the best boat builders left in Australia and whats more appealing with this vessel it was built locally. And without prejudice one of the best custom built i have had the pleasure to list for sale. 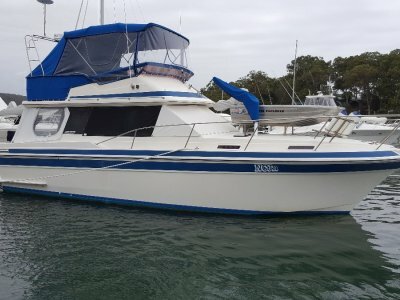 If you are looking for a liveaboard, lake cruiser, or to explore the Coast Line up and down the Australian Coast Line. 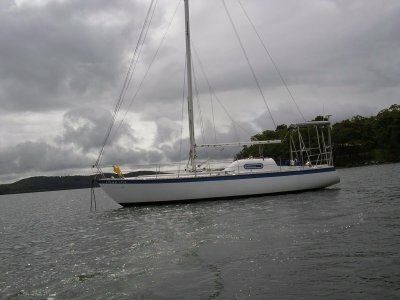 Then go no further well under replacement cost and as good a sea-boat as you will find. Inspection Highly Recommended Please Call Open seven days. 2000 Year Release 120-hp 6 cylinder Diesel Engine with HURTH ZF Gear box, Fresh Water Cooled. 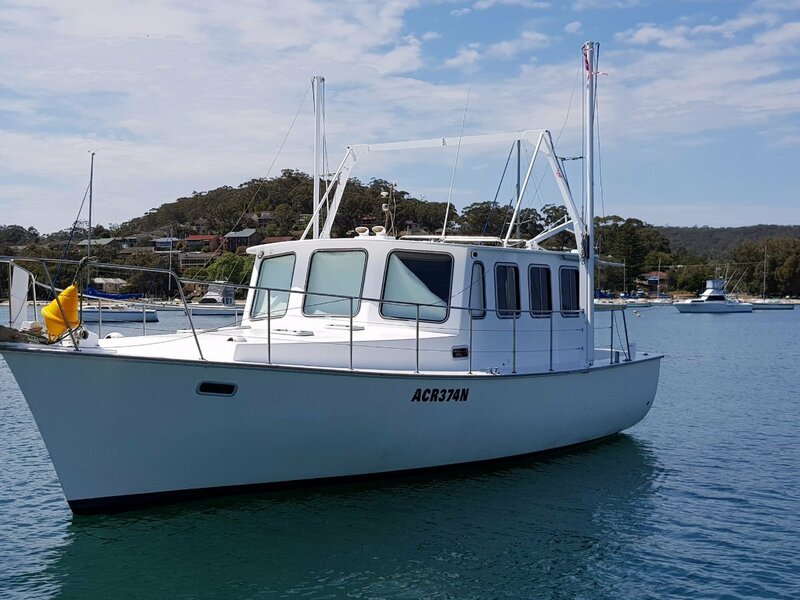 SERIAL No: 408368 with 840 litres in two tanks, Very well maintained and all service history available on request These engines have only very low hours. 1 x electric with 100 litre holding tank. 45-LB CQR Plough Anchor, with a MUIR COUGAR 12V Electric Anchor Winch with 50 metres of 5/16 chain. 5 x 12 Volt DC Batteries, 240 volt AC invertor, Solar Power, Alternator Battery Charger. 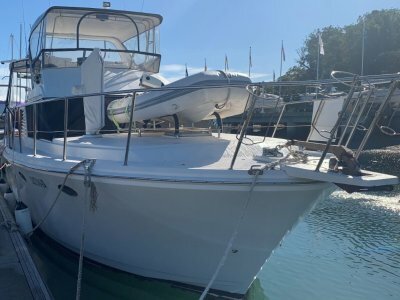 New Bimini, New Carpet, Antifouled September 2017.